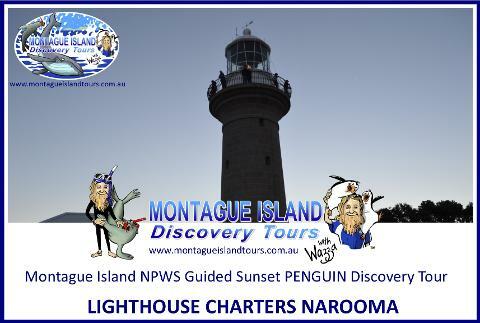 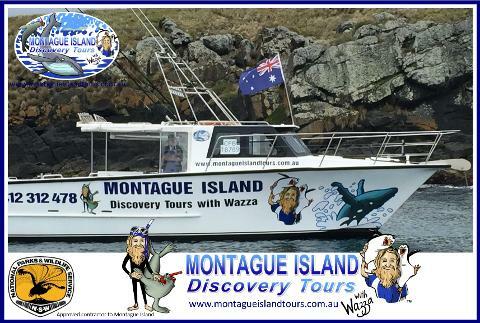 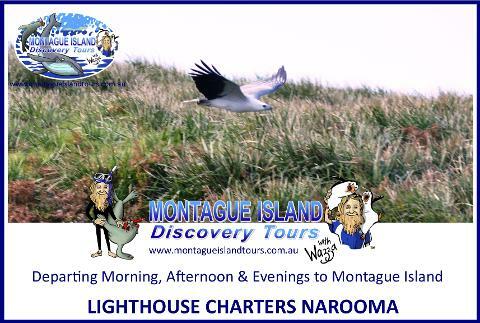 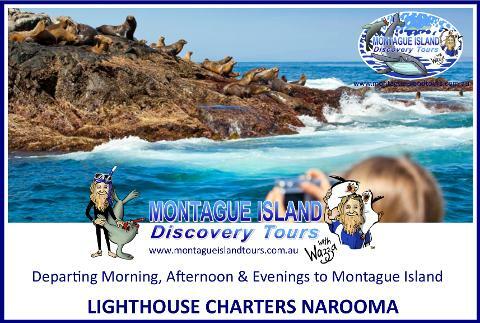 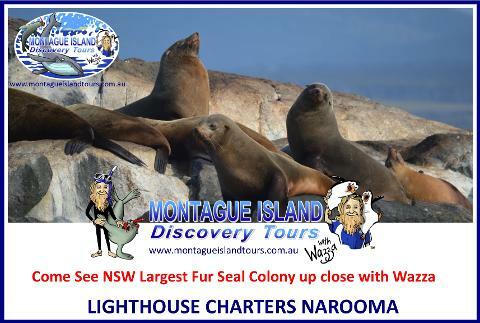 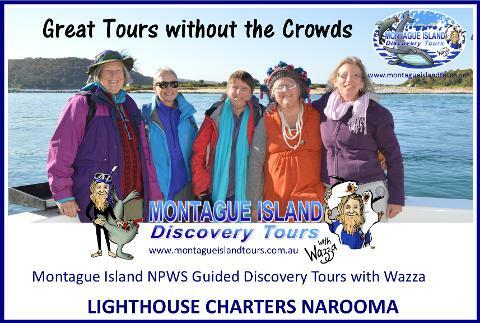 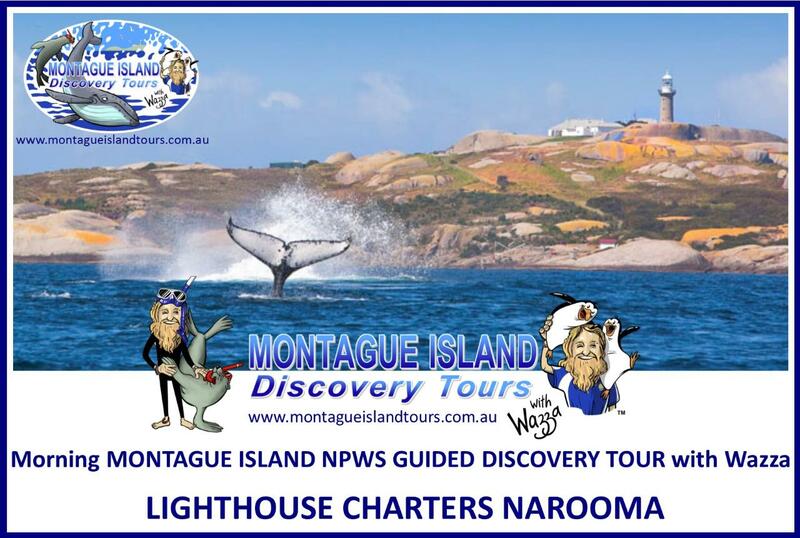 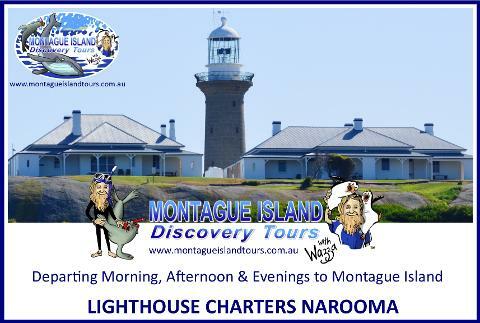 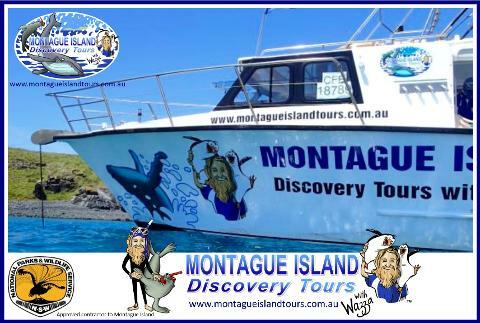 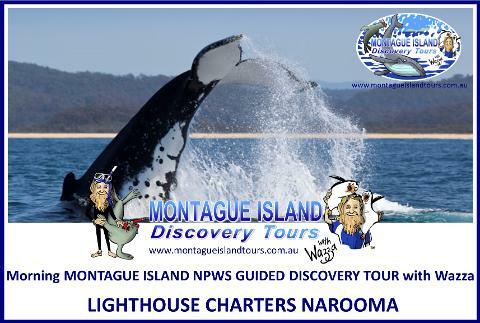 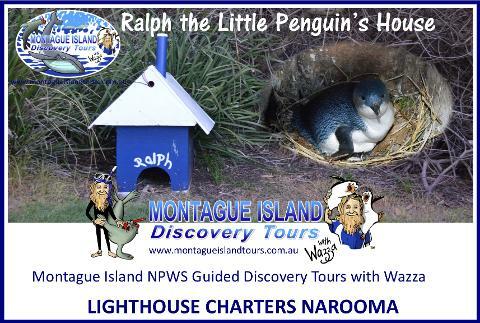 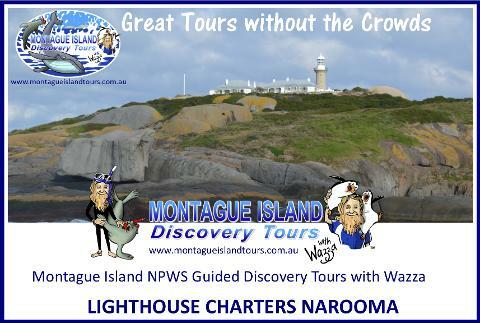 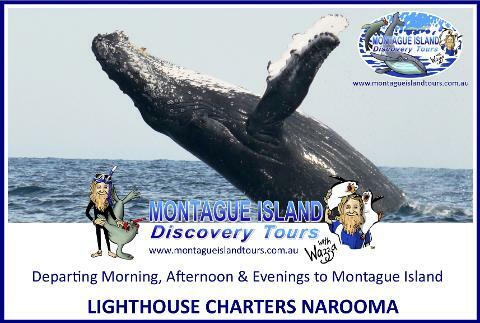 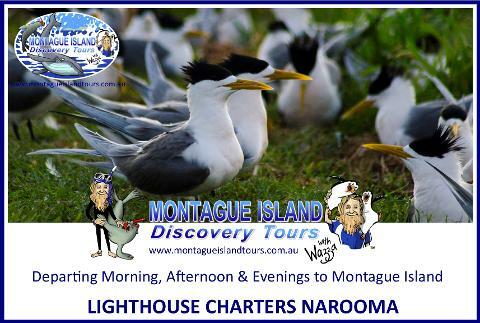 Sit back and enjoy the smooth ride on our modern first class Tour Vessel "Spirit of Narooma," as our friendly crew take you on a Discovery voyage to beautiful Montague Island. 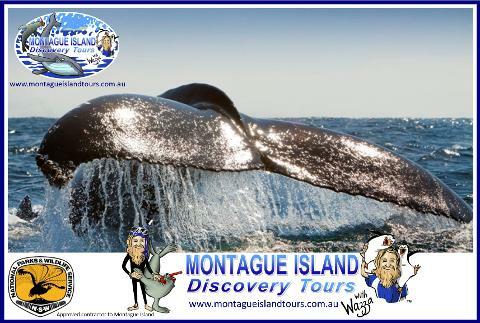 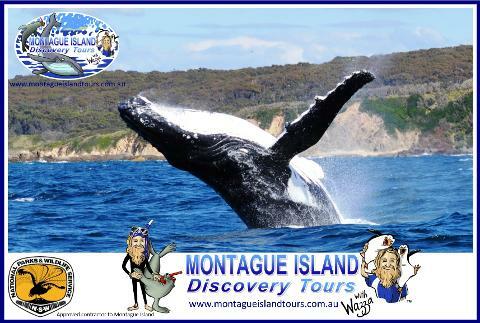 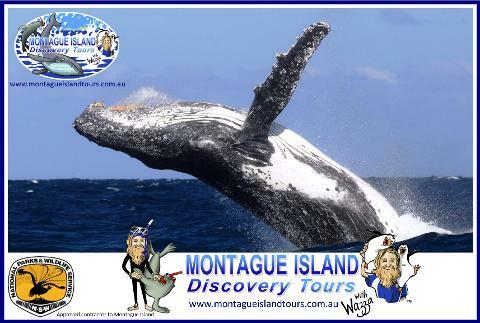 On the way enjoy some spectacular Whale Watching! 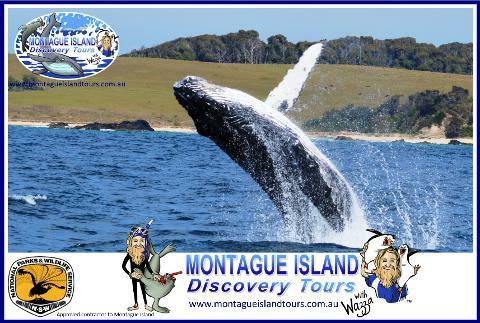 Encounter some amazing marine life, Whales, Dolphins, Sea Turtles, Flying fish, Sunfish or majestic sea birds Albatross, Sea Eagles, Petrels, Shearwaters or Working Flocks of Gannets soaring in the sky. 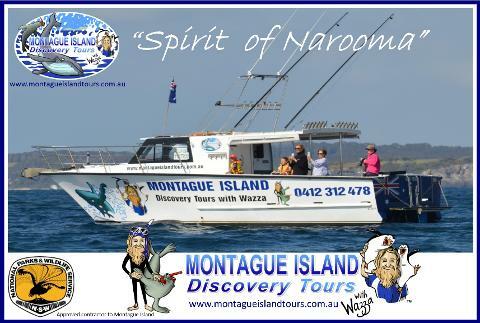 Your Vessel "Spirit of Narooma" will be waiting to take you back to Narooma.